Quick! 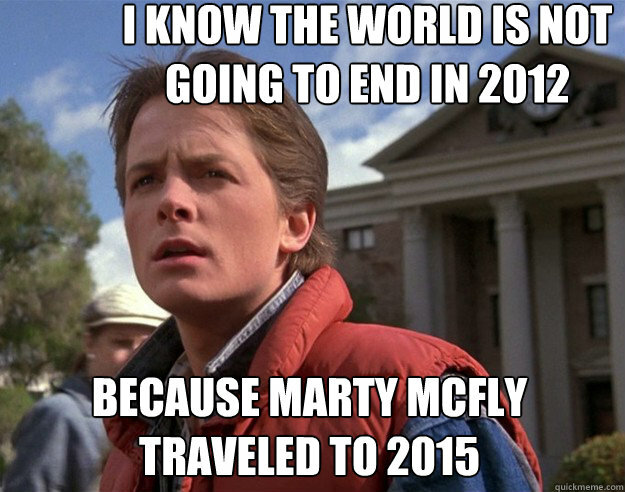 We need Doc Brown and Marty McFly to go to 2038 to let us know we're all going to be safe! After all, they proved the Mayan calendar was wrong. Around the time the 1st pentium processors came out, the bios chips went to 2038 as well. I think this was the source of the programming matching that. I’ve been wondering if everything will get superseded by then. Likely it will. I’m not worried. I'm not worried about the 2038 bug a much as it will open an opportunity for those with ill intent to affect a good portion of the Unix backbone. 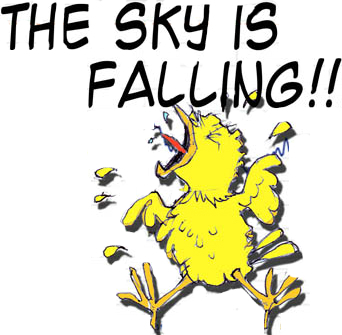 Think of the current crop of Fly by night roofing repair companies that show up after hail storms only to rip off consumers. I do however doubt that any equipment that could be impacted if it happened today would still be in the field in 2038. I found my old Garmin in the drawer last night. Everyone can come out of their bomb shelters now. I am not going to worry about it. By 2038 I will not be around to worry about it. I'm worried about being worried about not being around to worry about it. There there Rick, rest assured that "WERE ALL GONNA DIE !!! ", eventually. Well, all us realists know we won’t live forever. But, it seems the elite liberals think they’re immortal.